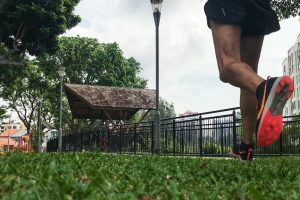 Gear Review: Nike Zoom Fly Flyknit | JustRunLah! 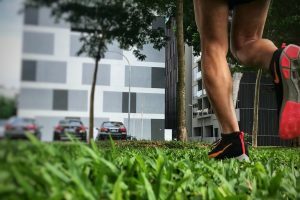 I have been running regularly for the past 5 years and have received questions from peers on how to choose a good pair of running shoes or which shoes do I recommend. 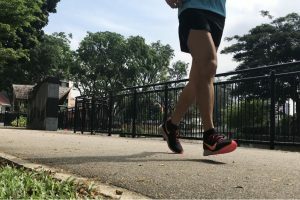 The sharing of personal and other running enthusiasts’ experiences had always been casual and face-to-face. 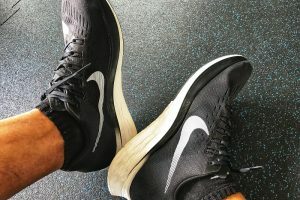 This post will be the first official shoes review which I will be doing through writing. 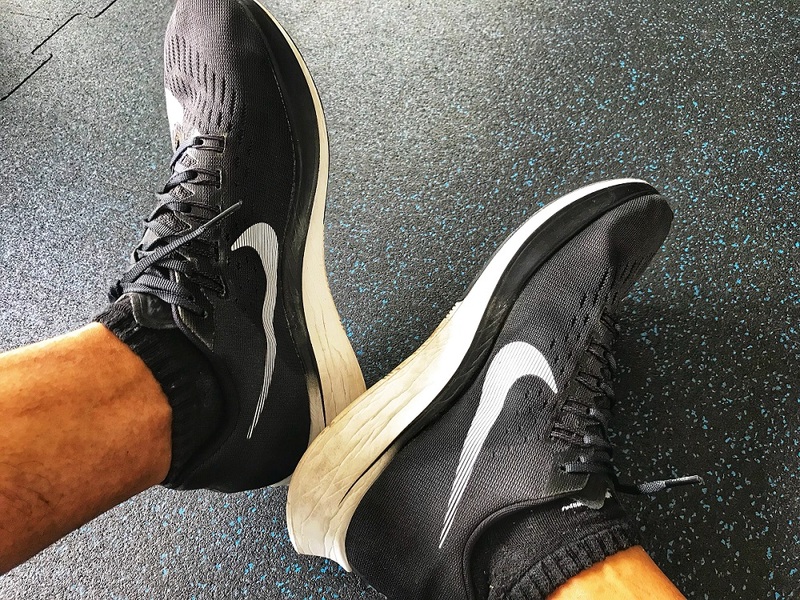 Having run more than 800km with my existing 2 pairs of Nike Zoom Fly (a pair of blue ones and a pair of black ones-pictured below), I am happy to be given the opportunity to try on this Flyknit version of the Nike Zoom Fly. 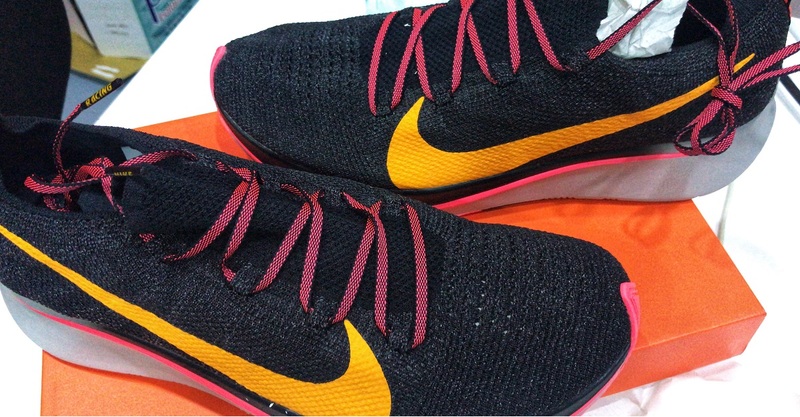 I must admit when I first opened the box, my first reaction was that the shoes looked kind of feminine to me. 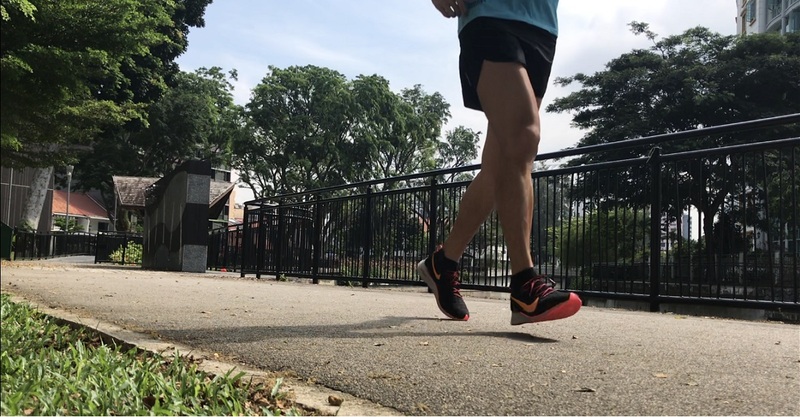 To my surprise, the shoes looked great when I put them on! 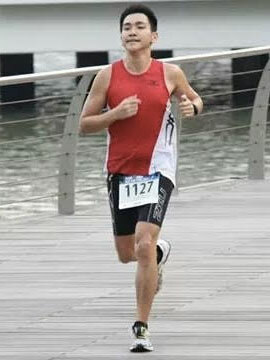 The colours blend well and they were not too loud for my liking. 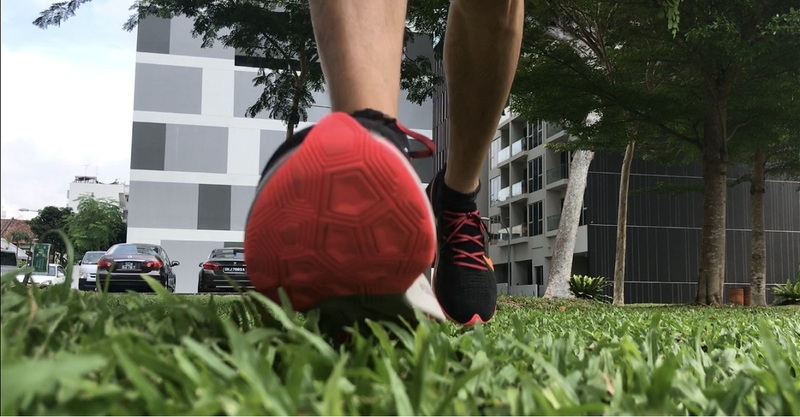 Having worn the non-Flyknit version (Lunarlon material) in the past, the breathability of Flyknit material is a blessing for some heat dissipation in the hot climate in Singapore. 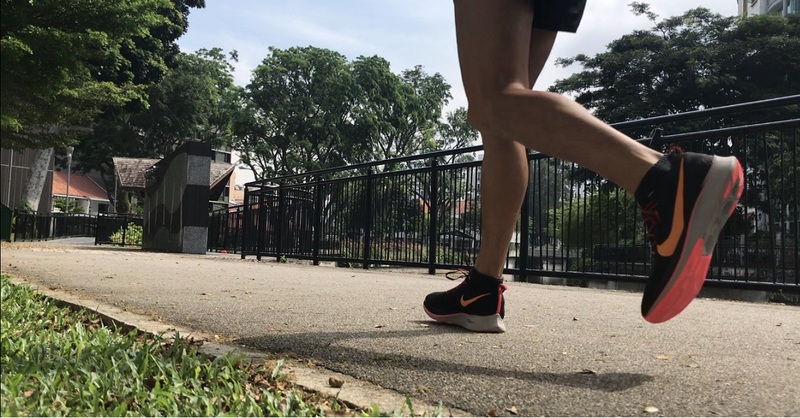 However, the feet still heat up after some running under the sun. 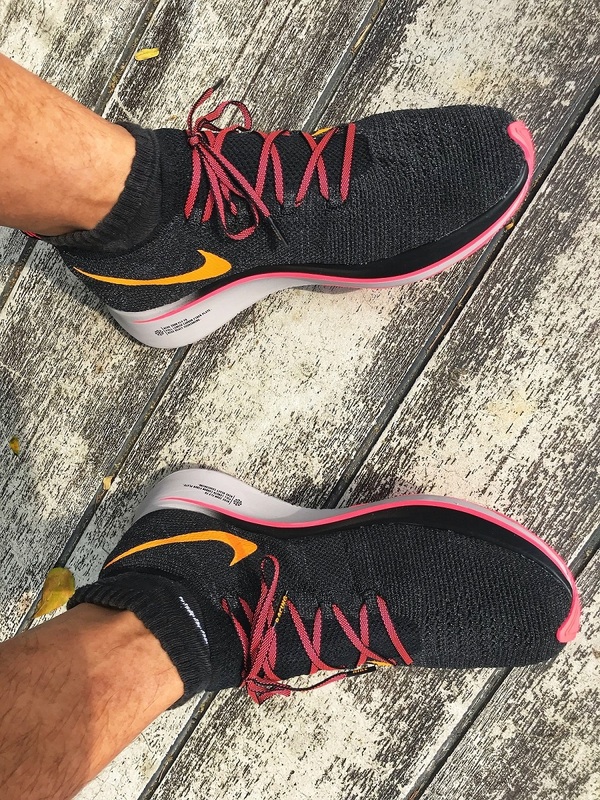 The Nike Zoom Fly Flyknit also fits true to my usual US size 10. 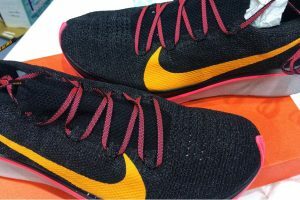 The material is stretchy and light which fills my feet more snugly and comfortably as compared to the stiffer Lunarlon material. 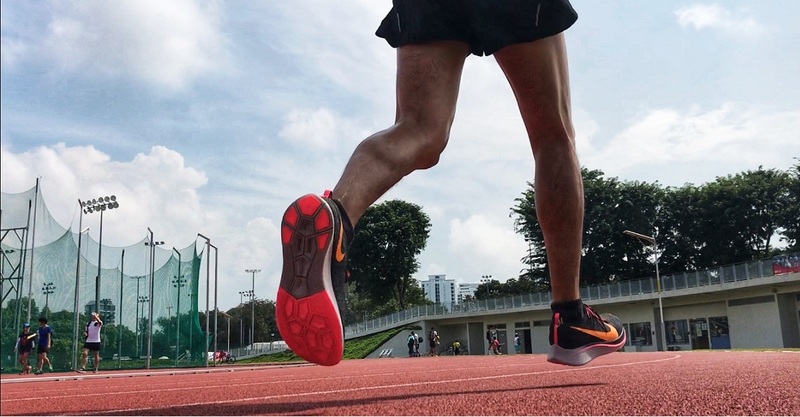 Featured with full-length carbon fiber plate found in the “legendary” Zoom Vaporfly 4% and Nike React cushioning foam, this pair of shoes felt like a bouncy cushioned trainer which can also be used for longer distances pounding on the roads. 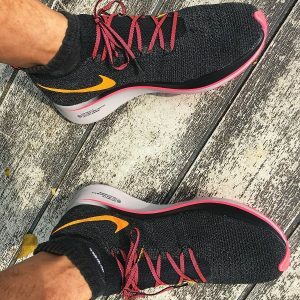 Another lovely feature about the Nike Zoom Fly Flyknit is the lightweight cushioning and support (weighs about 272g according to online sources). 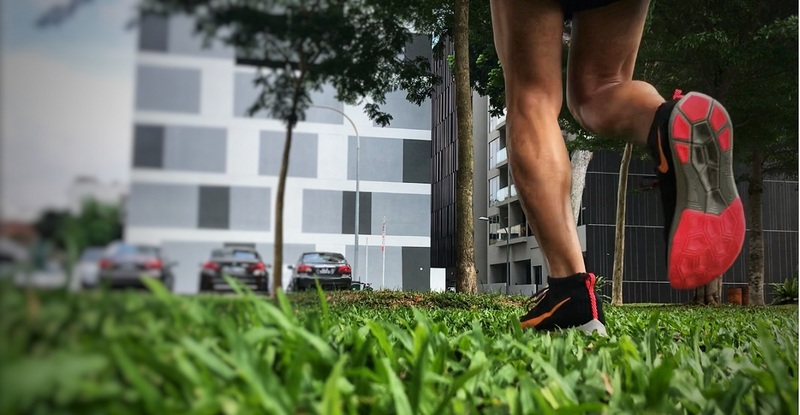 Gone are the days when thick cushy stabilising running shoes were heavy and bulky. 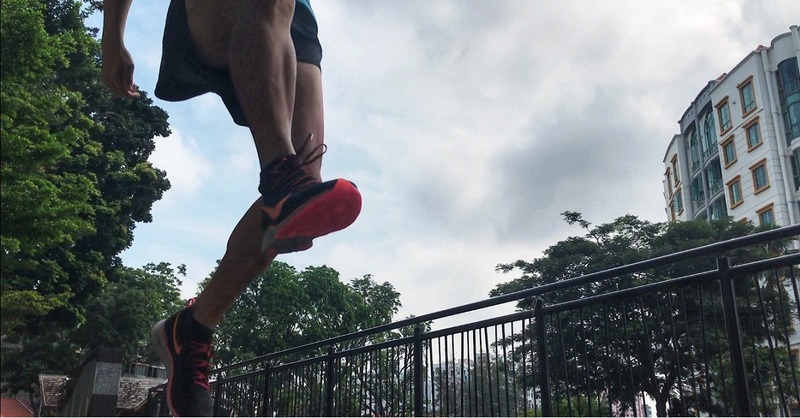 After admiring the design and comfort of the Nike Zoom Fly Flyknit, I decided to put them to a test across different terrains. 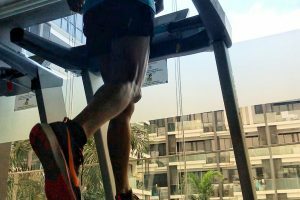 The shoes are actually very responsive on the 4 terrains which I tested on: Road, Grass, Track and Treadmill. 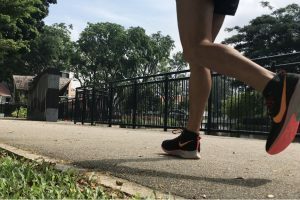 On the road: My feet felt very protected from the hard pounding on the road. 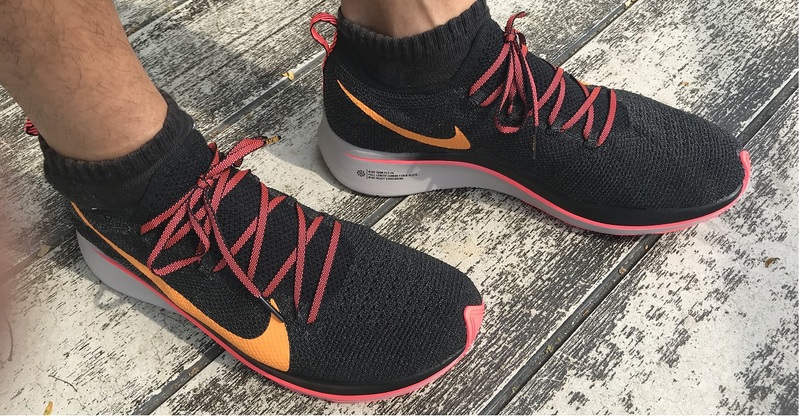 The Nike React Cushion absorbs the impact very well and is also very responsive in propelling my feet forward. It was a joy running on the road with this pair of shoes. 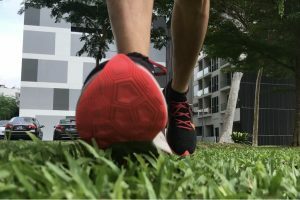 On the grass: The shoes felt sunken into the soft grass terrain upon the landing of my feet and I could not feel much of the cushioning effect. 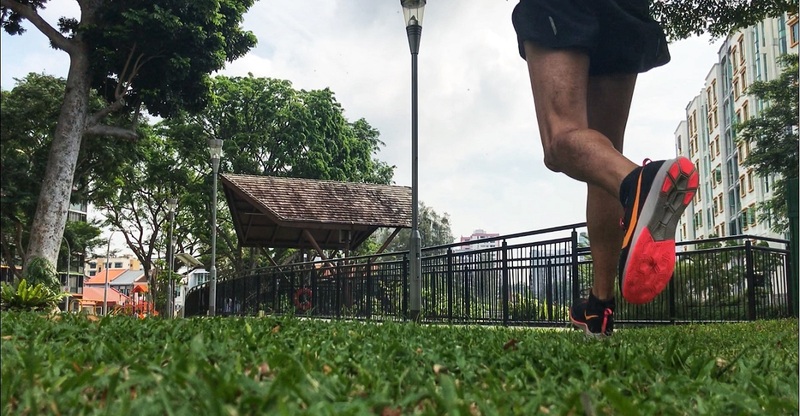 Running on the grass terrain with these shoes gives me relatively good support and stability nonetheless. 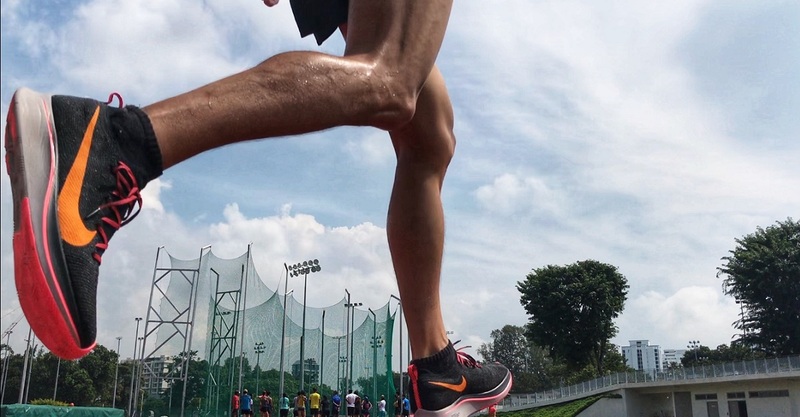 On the track: I enjoyed the most running on the track with the Nike Zoom Fly Flyknit. 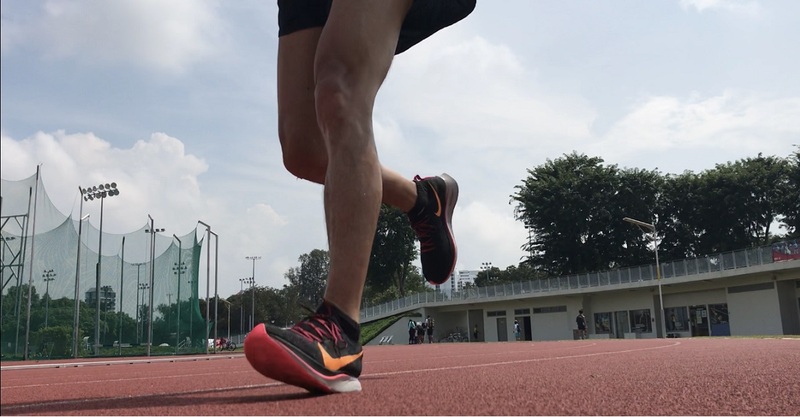 The cushion felt optimum and the propulsion from the carbon fiber plate makes me fly literally on the track. 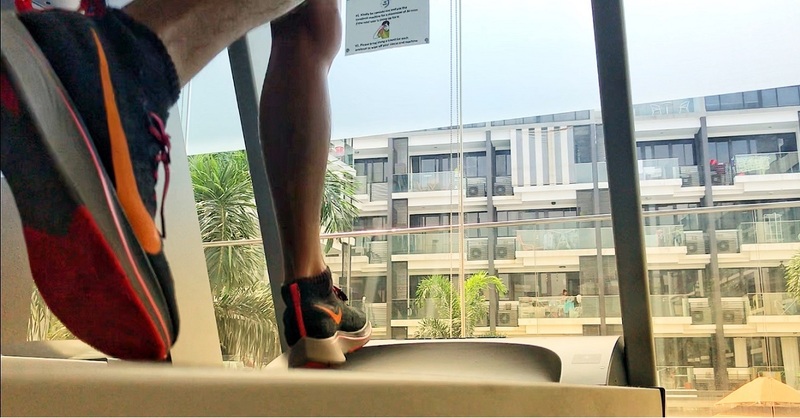 On the treadmill: Similar to the track, there is a very balanced feel when the feet land with the shoes’ cushion touching the slightly soft and bouncy surface. 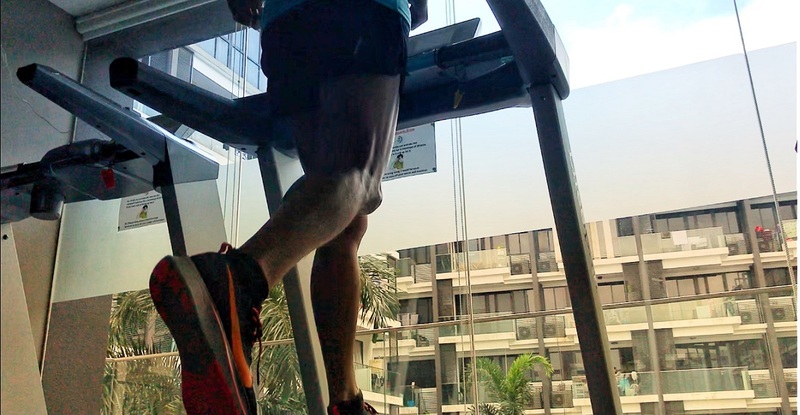 Every step feels comfortable, making the run enjoyable. 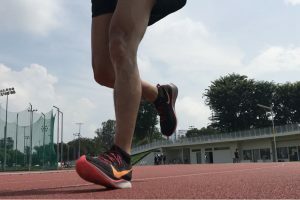 I will continue to use these shoes for both short interval runs at the track/treadmill as well as longer runs on the park connectors. 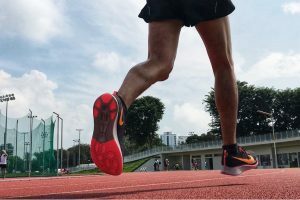 The lightweight cushion and the propulsive carbon fibre plate make the Nike Zoom Fly Flyknit a versatile pair of shoes for running both long slow distances as well as fast uptempo intervals. 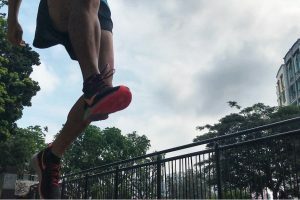 * Disclaimer: This review represents the genuine, unbiased views of the author. 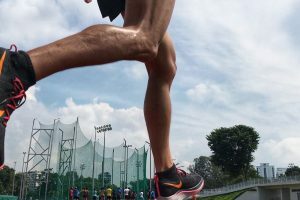 The author was provided with a free unit. 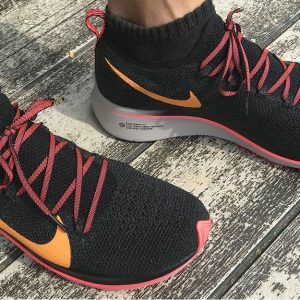 Nike’s products have been and might currently be advertised on JustRunLah! via different channels, however, these relationships do not influence the editorial content of reviews.